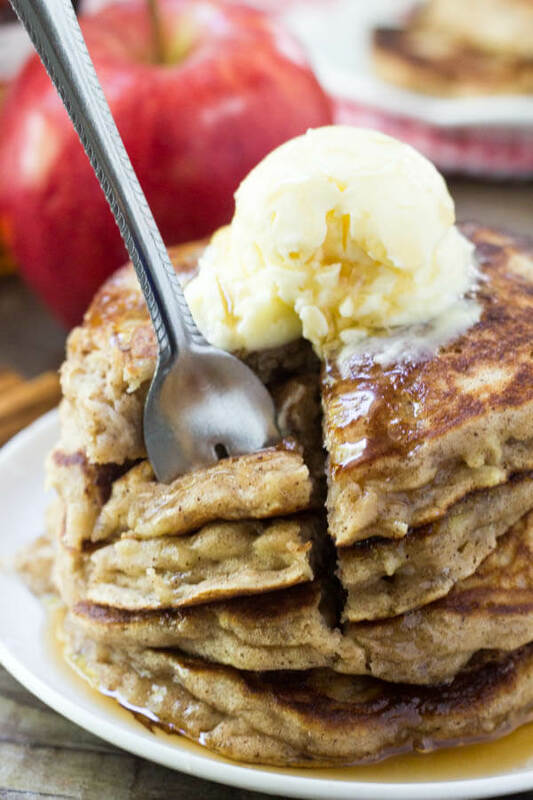 These apple pancakes are the perfect way to celebrate apple season. They’re light & fluffy like your favorite buttermilk pancake recipe. 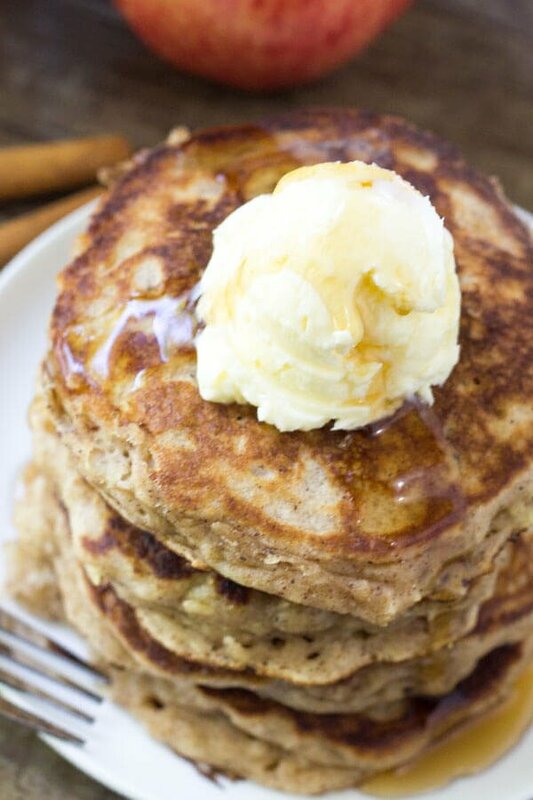 Then they’re filled with cinnamon and brown sugar – so they taste like apple pie in pancake form. I love apples. 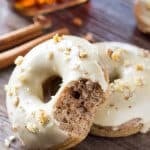 Whether I’m munching on a sweet crisp gala, digging into warm apple pie, or having a slice of apple spice cake slathered in cream cheese frosting – they’re delish. 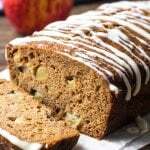 So now that it’s apple season, I figured I’d commemorate the momentous occasion with a breakfast recipe. 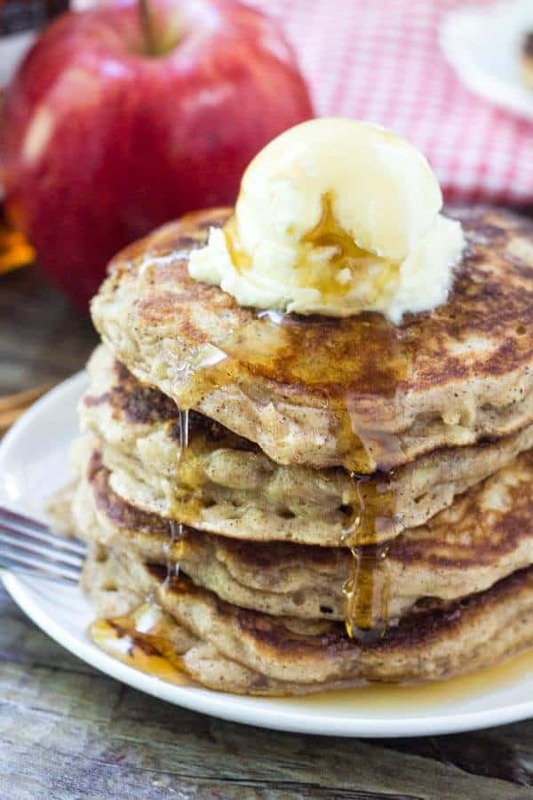 Welcome – Apple Pancakes. These are fluffy, cinnamon infused, brown sugar apple goodness. Then drenched in maple syrup and topped with whipped butter, and you’ve got yourself the perfect breakfast recipe. As a kid, I’d have an apple everyday. I was lucky enough to come home during the lunch hour since we lived so close to the school. My Mum would have lunch made already (grilled cheese was by far the best day of the week), and we’d sit and chat as I happily munched. My Dad would come home too, and he’d peel and core an apple that we’d share. As I got older and I was responsible for my own lunches – I gave up on peeling and coring the apple. But I still have one everyday for lunch. 20 odd years later. So clearly, something my parents taught me sunk in. 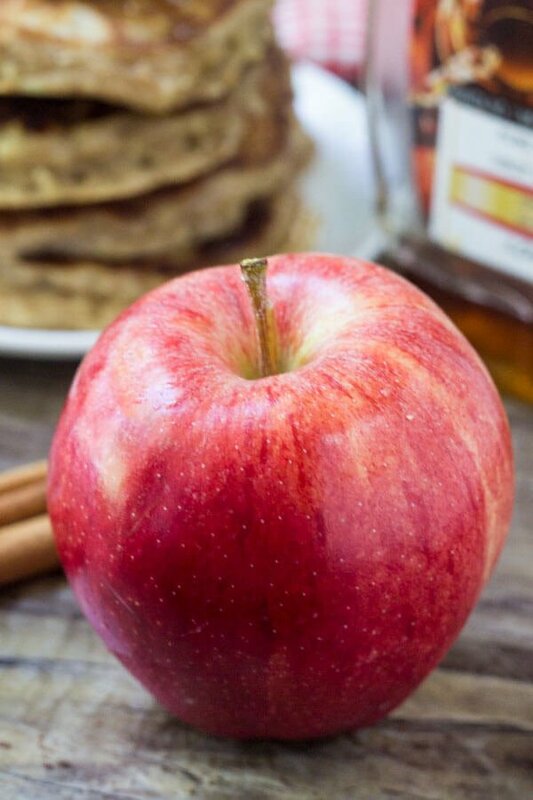 So today, we celebrating apple season and making these delicious apple pancakes. 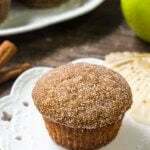 They’re filled with cinnamon, nutmeg and a touch of ground cloves so they have all the spices of apple pie. Then they have a touch of brown sugar for a delicious caramel flavor. Then we’re adding shredded apple. Depending on the type of apple you use, your pancakes will taste a little different. A sweet apple – like gala, pink lady or fuji will give a sweeter taste. Whereas if you use granny smith your pancakes are more tart. 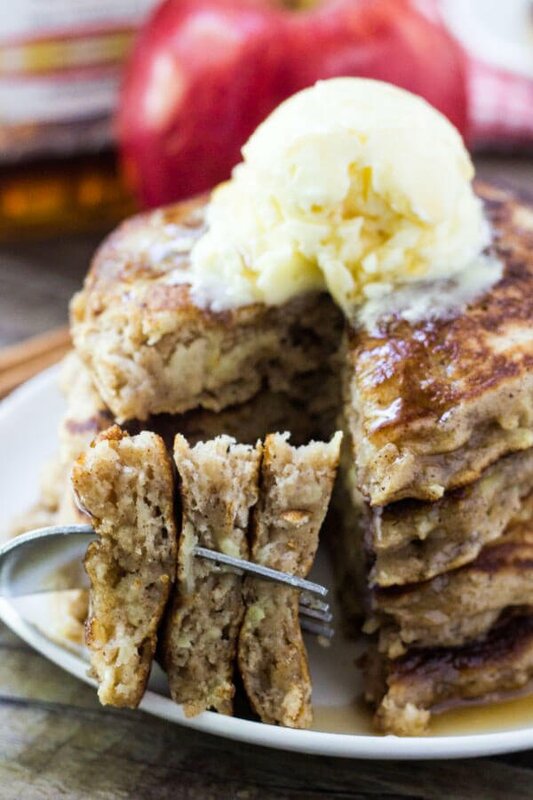 For these apple pancakes, I used gala apples and found the flavor was perfect. But the choice is totally yours. 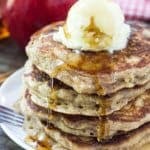 So if you’re looking for a delicious breakfast recipe that’s perfect for fall, then these apple cinnamon pancakes are for you! In a second medium bowl whisk together the brown sugar, melted butter, egg, vanilla and milk. Fold the wet ingredients into the dry using a rubber spatula or wooden spoon. Then fold in the shredded apple. Heat a griddle to 350F or a frying pan to medium heat. Grease lightly with cookie oil. Pour about 1/4 cup of the batter onto the griddle/frying pan per pancake. Cook for 2-3 minutes or until you see small bubble form on the uncooked side. Flip and cook on the other side for 2-3 minutes.